Feminist Political Ecology explores the gendered relations of ecologies, economies and politics in communities as diverse as the rubbertappers in the rainforests of Brazil to activist groups fighting racism in New York City. Women are often at the centre of these struggles, struggles which concern local knowledge, everyday practice, rights to resources, sustainable development, environmental quality, and social justice. The book bridges the gap between the academic and rural orientation of political ecology and the largely activist and urban focus of environmental justice movements. ""Feminist Political Ecology is a substantial portion, and a good value for the money, for those interested in an intellectual meal from an environmental studies menu." 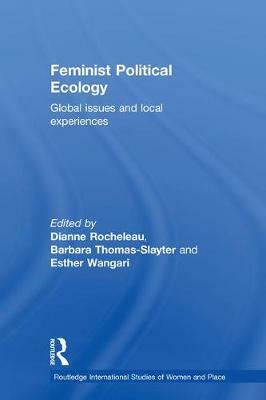 ..." this collection is a timely development in political ecology and feminist theories. It is ... well worth recommending to students ... as a course text."